Last month, a storm caused significant damage to some trees on Hortensiastraat in Eindhoven. The large tree that stood in front of Julian and his parents’ house was also damaged. Julian found this very unfortunate, and, therefore, put pen to paper. He wrote a letter, requesting that new trees be planted again. And especially a tree in front of his house. 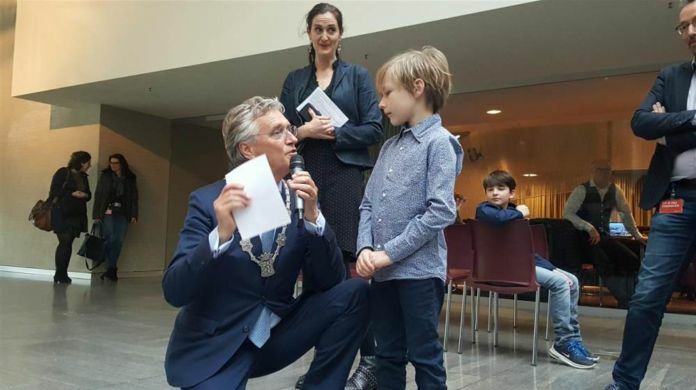 On Tuesday evening, Mayor Jorritsma and Council members received the letter. And it had an immediate effect. On Friday afternoon, city workers will plant a tree. “That is great news”, Julian’s father responded. Julian will be at school when the tree is planted, but his parents will ask his teacher if he may leave a little earlier.